Welcome to the Army Surplus Shop in Grimsby. 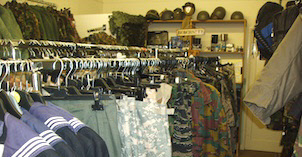 As the only proper Army Surplus Shop in the area, The Army Surplus Shop stocks the a wide range of new and used army surplus gear from the British Army and the armies of US, Canada, France, Germany, Italy etc. 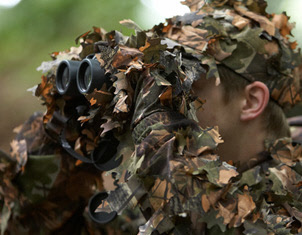 The Army Surplus Shop Grimsby stocks the following clothing, footwear, camping equipment, accessories, headgear, security gear, childrenswear and survival equipment. 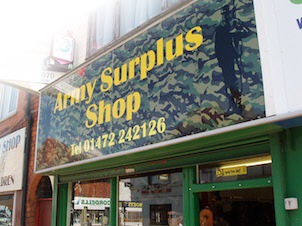 Army Surplus Grimsby has a good selection of jackets, t-shirts, shirts, american parkers, smocks, waterproofs, trousers (waist sizes 28-52), gore-tex, norwegian shirts, childrenswear (age 4-13 yrs), gilley suits, shorts, gore-tex clothing, naval shirts, shemacks etc. The Army Surplus Shop stocks new and used footwear including desert boots, Viper, patrol boots, all-leather boots etc. Army Surplus Grimsby stocks helmets, berets, tin helmets, german helmets, caps, hats, balaclavas, zandannas, bandannas etc. 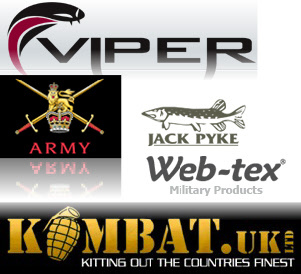 The Army Surplus Shop in Grimsby stocks a range of security clothing inclusing M1 flying jackets, body armour, kevlar security vests etc. Welcome to our new webiste. We hope to have some more products on display soon. For our selection of new and used air weapons and accessories, see Dave's Airguns. 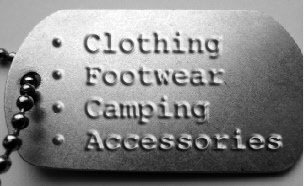 At Army Surplus Grimsby you will find a range of new and ex-military camping gear including sleeping bags, tents, bivee bags, ponchos, airbeds, accessories, hex burners, gas cookers, pots & pans, knives & forks, solar showers etc. The Army Surplus Shop in Grimsby stocks a good selection of new and used accessories including rucksacks (up to 120 litres), bergens, daypacks, belts, badges, camo-netting, pigeon netting, facepaints, braces, gloves, leather gloves, goggles, torches, flags, bullet cases, mugs, folding shovels, polishing equipment, first aid kits, compasses, lightsticks, jerrycans, ammo boxes, washing kits, survival kits, dogtags, fire starting kits etc. Army Surplus Shop Grimsby. For Army Surplus new and used clothing, footwear, headgear, accessories, camping equipment and all army surplus gear in the Grimsby area.